Samsung will make the majority of chips for future iPhones and iPads starting in 2016, according to Korea Times. This is a big win for Samsung. This year, Apple switched away from Samsung and had a company called Taiwan Semiconductor Manufacturing Co. (TSMC) make most of the iPhone and iPad chips, The Wall Street Journal reported. Samsung still made a a small percentage of Apple’s chips, but it was a big loss of business. It’s also part of the reason why Samsung’s profits have been dropping like a rock this year. 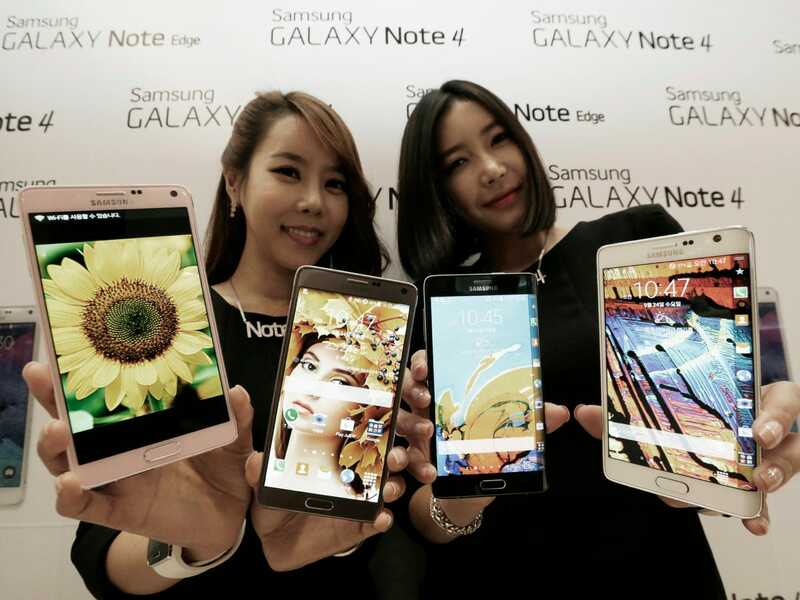 For the third quarter of 2014, Samsung’s profits were down about 50%. Samsung blamed sluggish smartphone sales and a decline in its chip business for most of that decline. But the new deal means Samsung will make 80% of Apple’s iPhone and iPad chips again, the Korea Times reports. The deal is worth “billions,” according to the report. Now it looks like TSMC isn’t cutting the mustard, so it’s back to Samsung again. According to BI Intelligence, Samsung’s smartphone shipments continue to fall while other rivals are on the rise. 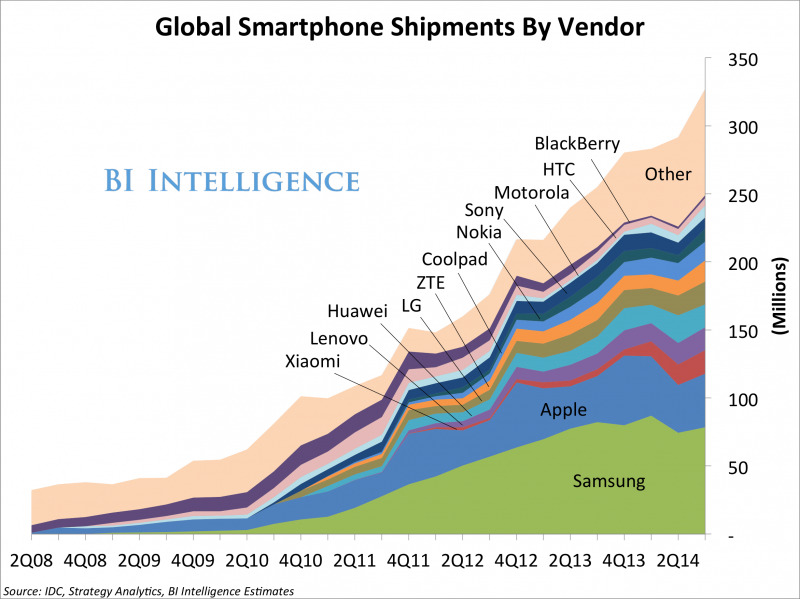 Xiaomi, for example, is now the third largest smartphone vendor in the world. Samsung’s biggest task next year will be to figure out a way to differentiate its smartphones and tablets from other Android devices.